Submerge lobster in a pot with clarified butter with garlic. Cook on low heat approximately 10 minutes until butter begins to boil and tails are cooked through. Remove from butter and chop into large bite size pieces. 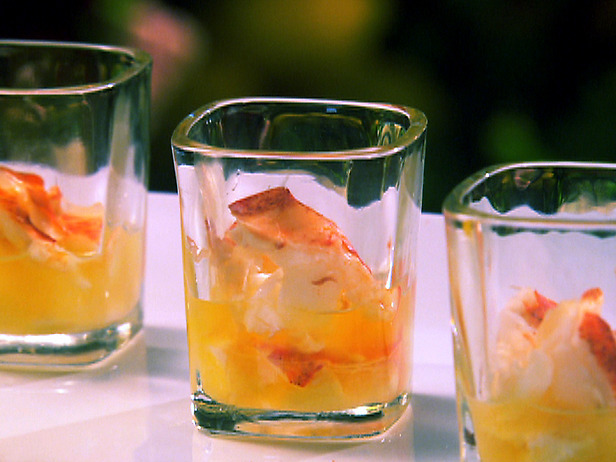 Serve in shot glasses. Drizzle each shot with a bit of butter, a squeeze of lemon or lime. Serve warm. Enjoy! This entry was posted in Appetizers, Ocean's Best Seafood and tagged Lime, Lobster. Bookmark the permalink.